As an architect, are you fascinated with nature and everything that reminds you of the forest and the textures of different tree stumps? Have your previous projects, a business park or a double-story apartment has not given you the satisfaction that lives up to your potential? Do you desperately need to rejuvenate your mind that inspires you of the nature around you? 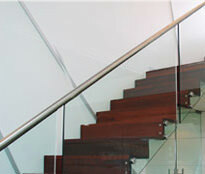 Eric Jones Stair Building brings you wooden staircase and timber staircase in Victoria, Australia that are manufactured with the highest quality timber, state-of-the-art technology and skilled wood engineers who have been working with us for years to bring that immense experience in building staircases, right to your doorstep. 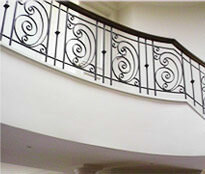 Each style has a different impact on the room, like an open string staircase will suit much better in an apartment where there is generally lesser space, whereas a geometrical stair case is ‘the’ choice for those Victorians who have larger homes or villas and love detail in their furnishings. Our interior decorators will always be there to help your ideas turn into reality with the right design, colours and structural feasibility. We have a range of timber options so you can play to your strength in bringing your expertise to your customers. Every kind of timber has its hardness rating, is cut to perfection, processed and polished to preserve the shine and texture of wood. 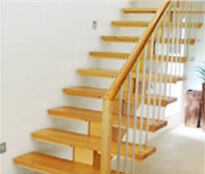 Eric Jones Stair Building also provides timber balustrades in Victoria, Australia. It is not a permanent rule to use timber balustrades against timber stairs but handrails, balustrades and stair floorings made from timber provides for consistency in design, colour, texture & strength. Although, with the changing tastes, a timber staircase with stainless steel balustrades, or glass balustrades with stainless steel brackets is a modern and intimate combination of hard and rustic characteristics of steel with those natural and warm textures of wood. If your present project is the architectural design of a double story restaurant, or a stylish hangout that needs to be designed keeping both, artefacts and durability in mind, then a timber staircase is picture-perfect for the place. You will have your employer falling head over heels for the wonderful job you have done. 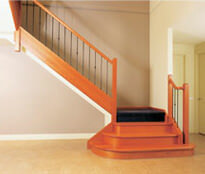 At Eric Jones Stair Building, we hope to bring a mix of elegance and contemporary to the Victorian lifestyle.